We loved interviewing Wild Web Woman Cindy Simmons! Cindy is a media personality who loves to share stories and create content. She is also the founder of Surviving Mommy. 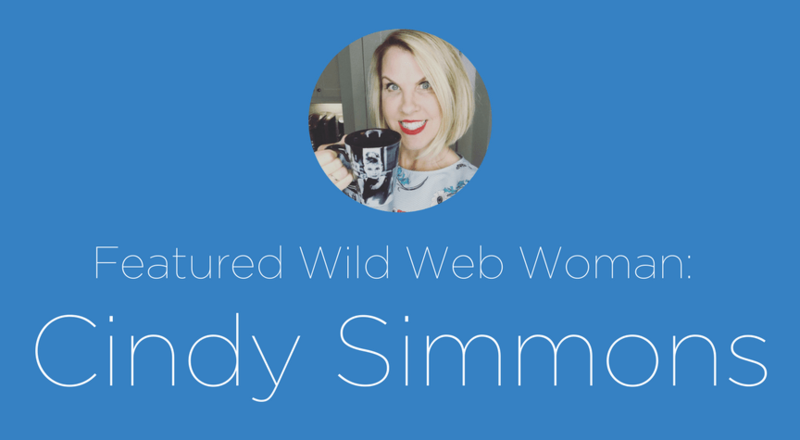 Meet Wild Web Woman Cindy Simmons! What inspired you to launch your web-based business? My love of being curious! How has your previous employment experience aided you professionally? My background in radio helped me transition straight into doing a Facebook live show. I love being live! I love sharing how I got into radio. It began with my love for New Kids On The Block – I was a total fan girl. I stalked them one summer and heard they went to a particular radio station a lot so I got an internship there in the hope that I would meet them. I did not, but I did fall in love with radio. A few years ago at my last radio station, I got to interview the whole group – it made for a great full circle story! It was awesome! Can you tell us about your Facebook live show? My Facebook live show is a 15-20 minute live show where I share three light-hearted topics, stories or things in the world of pop culture! One day while sitting in carpool, I decided to go live on Facebook for the first time. I called it “Carpool Convo Wednesday.” It was met with a great response and then I was met with the end of the school year happening a month later. So, I switched to coffee in the morning and called it “Coffee Convo Wednesday.” My goal is simple…make people smile! My favorite thing is sharing real and honest stories that make people laugh. As a media personality, what kind of stories and content do you share? I share real stories and content. It is important to me that I share true stories that I know will resonate with others. If it’s happening in pop culture, I share that. If something weird happened to me at Target, I share that. If I am excited about something silly, I share that! I think people can tell when you’re not being authentic so I make a commitment to only share real and fun stories! How do you set hours and limitations so you don’t overwork yourself or work too little? In addition to my Facebook live show, I do radio voice work on the side so I commit to those only in the morning and on Wednesday mornings when I do my live show, that is the only thing I do. Since I make my own hours, I just remind myself that family always comes first! I have two small daughters so I try and be present for them when they are at home and keep the work to moments on the side. If they have homework, I do my work. Once dinner hits, I try to be fully present so they and my husband don’t think I have a laptop/phone attached to my head! Ha! How do you spread kindness? Spreading kindness is a big deal to me which is why I end every Coffee Convo Wednesday show with the saying, “Spread kindness like Nutella!” One because this world needs a whole bunch more of kindness and two, because duh…Nutella!! I love spreading kindness by giving away something every single week on the show because winning something is fun and it makes people happy. Outside of the show, I commit to the drive-thru difference. If I drive through Starbucks, Chick-Fil-A or whenever…I always cover the cost of the person behind me. Always. I also have no filter so if I see a woman with hot runner legs at the grocery store, I always say something to her. If I see a man wearing a sharp looking hat, I tell him! I believe genuine compliments can truly make someone’s day so if I’m thinking it, I share it with them! Do you weave your values into your business? How? Yes, being kind and positive is super-important to me and I reflect that in everything I say and do in my business. Especially on my weekly Facebook live show. What is the best part about being a web-based businesswoman? Being able to make my own hours…and rules! What is the most challenging part of being a web-based businesswoman? Reminding myself to set hours and limitations. What is your favorite way to unplug from work? Meh. I don’t ever really truly unplug. How do you maintain your health? Walking and smoothies! Do you follow smoothie recipes or make up your own? Is there a smoothie book or chef you’d love to recommend? No, good gosh, I can barely follow a normal recipe much less a smoothie recipe. I basically start with water, toss in tons of veggies (which I hate and would not normally eat on their own), mask the veggies with lots of fruit, scoop in some protein powder, add a splash of Almond milk and call it a smoothie. That’s the extent of my smoothie recipe! What are some of your proudest accomplishments? Speaking in front of almost a thousand Cancer survivors. What is the wildest thing you have ever done? My Facebook live Coffee Convo Wednesday show in my bathing suit! What three web tools can you not live without? My laptop, iPhone and my Diva Ring light! Ha! What helps you increase your productivity the most? Sleep. Do you have any personal “wild web” role models? If so, who? All women who are doing it on their own! What are some risks you have taken that resulted in positive outcomes? Going live with only a few hundred people watching and committing to doing a live show EVERY week for a year! What is the most important lesson you’ve learned in your career to date? Have courage and be kind. Always. How do you maintain a work/life balance? Taking regularly scheduled family adventures! Business-wise, where do you see yourself in ten years? Still being curious. Where’s your favorite place to work from? My front porch. How do you make your home a productive space to work? Coffee. 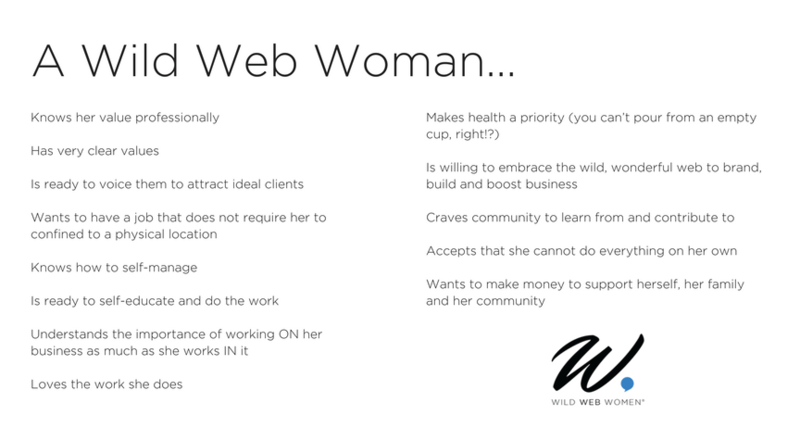 What is the #1 piece of advice would you give to someone who’s aspiring to run a web based business and be a Wild Web Woman? Have a solid plan. 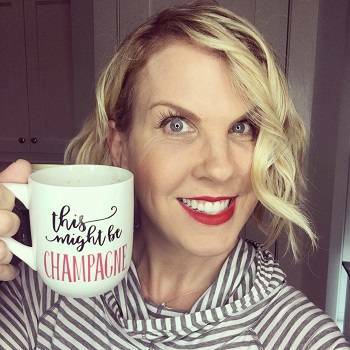 Be sure to learn more about Cindy at www.cindysimmons.com/ and www.survivingmommy.com and follow her on Facebook, Twitter, Instagram, or YouTube!